Press Release Florida Authors & Publishers Association – Florida Authors USA – F.A.I.T.H. 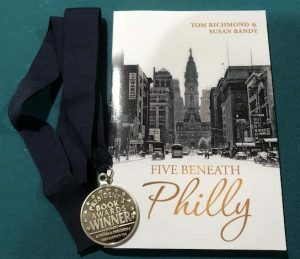 Five Beneath Philly and Hollow Vengeance are books of Historical Fiction published by FIdeli Publishing. 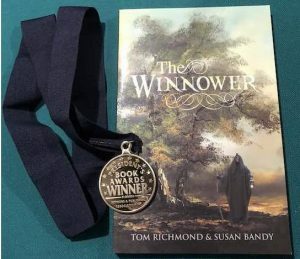 The Winnower was published by iUniverse Publishing. 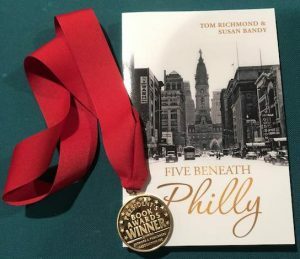 Five Beneath Philly is a coming of age adventure based on facts which occurred in Philadelphia in the early 1960s. Five young people set out on an adventure one Saturday morning which leads them to treasure beyond their wildest dreams and an adventure of a lifetime. 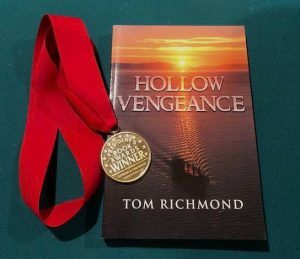 Hollow Vengeance takes place in the early 1970s and begins when Frank Barrett becomes a part of the U. S. Air Force and is assigned as a pilot in Vietnam. His story begins by Frank meeting the love of his life who he must leave to fight for his country. He returns to begin the perfect life, but then tragedy strikes. He loses is wife and he is vengeful. This is a great read confirming that vengeance is, indeed, hollow and hurts the hunter as much as the hunted. Hollow Vengeance is the first book of a trilogy following Frank Barrett’s life as a returned Vietnam War veteran. The Winnower is a historical look at homesteading in Illinois in the 1820s. A group of settlers find their home in Illinois, but they are not welcome here due to their belief systems. This book is about leadership, understanding the motives of your leaders, and coming of age and defining your individual belief systems which define your life. All medals were awarded at the annual FAPA President’s Book Awards Banquet held this year at the Hilton Orlando Buena Vista Palace in the Disney Springs TMArea of Lake Buena Vista, Florida. The Florida Authors & Publishers Association is an organization for authors, publishers, illustrators, editors, printers, and other professionals involved in the publishing industry. It focuses on providing the highest quality of information, resources, and professional development to members and others interested in the writing and publishing profession from all 50 states.